Seriously, huge problem... The school is having a special assembly to address the students concerns. I saw something about this on the Albany NY news the other night when I was in town. If it was me, it would be shoot first, ask questions later. It's craziness. My 2 youngest didn't want to get icecream tonight because it was already dark. They did eventually go, but just McDonald's drive thru. Where if course is freaking clowns galore. I just realized Ringling Brothers Circus is in Albany this weekend, I'm wondering if its related in some sick way. They are supposed to be in Bridgeport Ct, and Boston MA next. This could kill their attendance. My husband just told me there is a new campaign #clownlivesmatter for the professional clowns out there. I used to be a Shriner, and we took great pride in our Circus Clowns. The do so much for the kids in the Hospitals around the world. These hooligans are making it hard for them to do an already difficult job. I would stand with that campaign. That is a really great campaign. The Shriners here have a program to help pay for hearing aids/ and my daughter will be covered till she's 18. I didn't really think of the Shriners, but rather the type that do kids parties ect. I hope it ends soon. Yeah, not to make light of the creepy situation, but I have to wonder if McDonald's might take a big hit with this. Already posted this above; It's craziness. 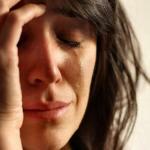 My 2 youngest didn't want to get icecream tonight because it was already dark. They did eventually go, but just McDonald's drive thru. 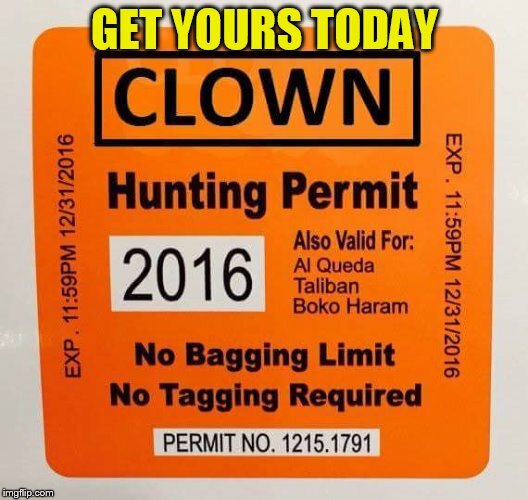 Where if course is freaking clowns galore. I know. That's the comment I was replying to. 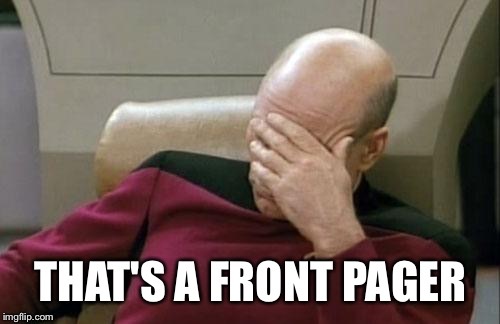 :) Sometimes imgflip's commentary structure is confusing. Yeah- because people choose who to upvote, and it [email protected] everything up. I honestly try and do the whole thing, especially my own memes, and I go back to see who I missed. Thank you for helping me beat my bestie... But he's off his game since going back to days. So I best take advantage of that now! Thanks again. I'm not following it very closely... But I know there's a tip line for clown sightings and police are arresting people dressed as clowns. My husband said a whole university shut down because of a clown sighting that ended up being a hoax. 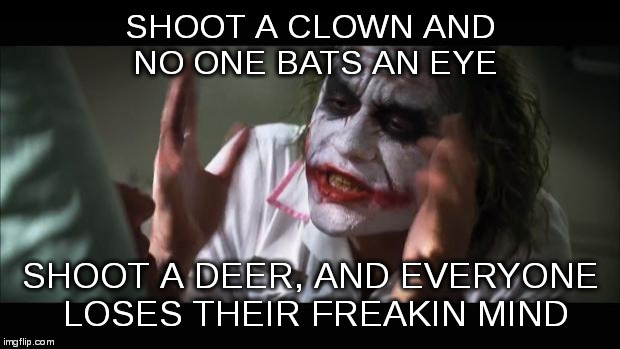 I am normally not a nervous person, but a few weekends ago we drove my son's friend home a few counties over and she was telling us they had a clown sighting on the road she lives on. 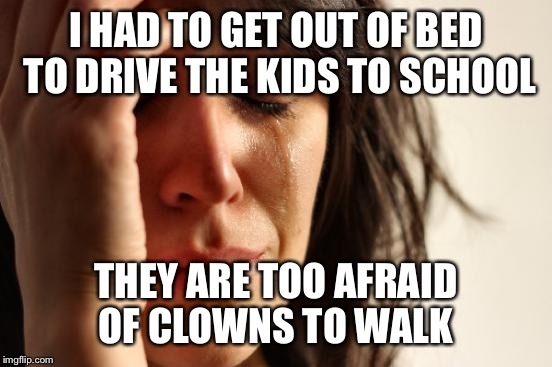 I told them both if a clown stepped out next to my car it would become a speed bump. No questions asked. Sadly I probably would have hit one no joke, it was super late and they live in the sticks. I can't believe no one has been shot yet. I think there was a death by shooting. Oh wow! I haven't seen that. I am not a big tv watcher though. LOL other than re runs of friends and Seinfeld. Pitiful! I don't have cable, snd I hate the news,., but hubby keeps me updated. I can't edit to hear what the kids assembly today was like, the teachers even had a special meeting about this to deal w student concerns. One of these schools was my kid's school. I'm like you and don't pay attention to the news either, for many reasons lol. I finally asked my wife a few minutes ago and found out. Are you a southern new englander? Or is it all over now! Personally think it's a viral trend that's tapped into the Coulrophobia of Americans and Europeans. Kinda like the "watch out for drug laced candy". Drugs are expensive, so why would a drug dealer or user lace candy with the stuff and give it out for free? Only times kids have eaten drug laced candy, is because irresponsible parents that do drugs, forgot to stash the drug candy. Now if you lived in Colorado, I would say a fear of drugged candy is a rational fear, considering the amount of kids taken to the hospital due to ingesting edibles. Is this just a thing in the northeast? 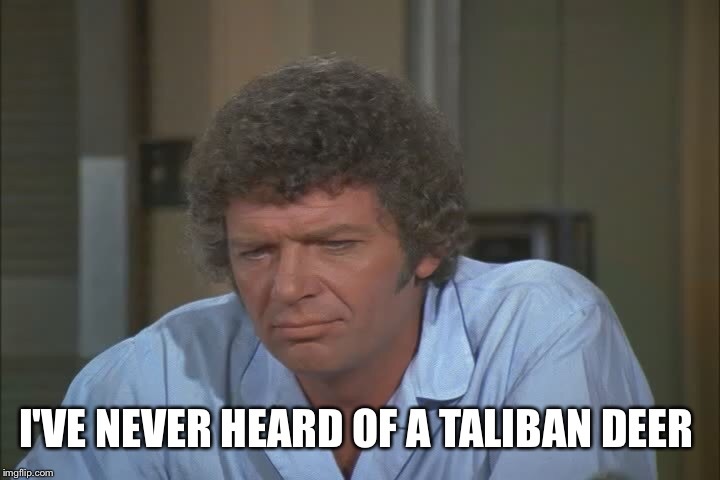 I thought it was everywhere. But my kids are wimps so now they are really freaked out. The middle, 5th grade, had a letter sent home for talking about and making 5th graders cry. My daughter was too afraid to play this morning before school. This is word, CT, RI, MA all got clowned. Tween-agers (11-14) have got a visit from State Police for generating scary clown messages on instagram and others. Most are threats, not jokes. The kids are scared,,,, my daughter waited in the car with me for school to start again this morning. The Northwest is especially full of the clown sightings. It definitely sounds like something some jackass Portland 'alternative art collective' would do here. Doesn't explain the rest of the country though.